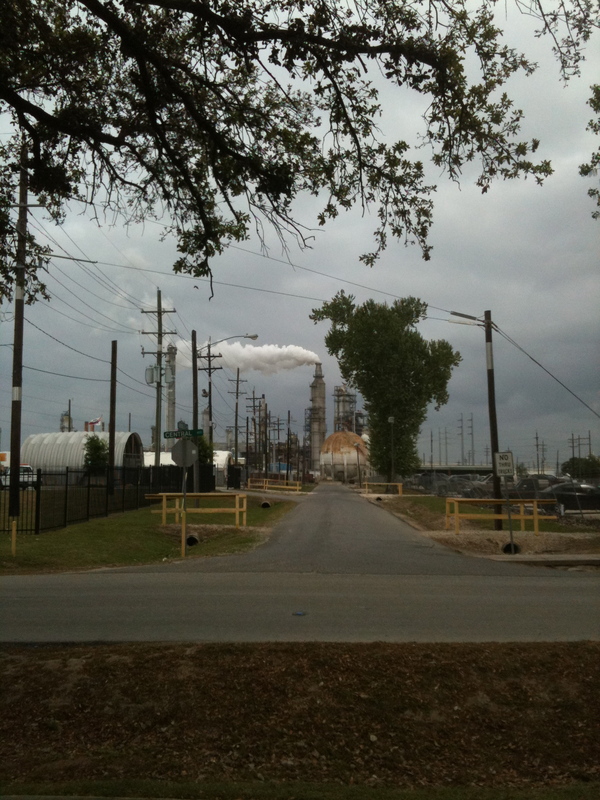 Houston public radio station KUHF reported recently about people in Houston who take pictures of things such as refineries and bridges here in Houston. These persons are often stopped and questioned by police and by private/corporate security officers. I take many pictures around Houston for my blog and for another project I’m working on. I was once stopped and asked questions by private security officers of a large energy company while I was on City of Houston property. 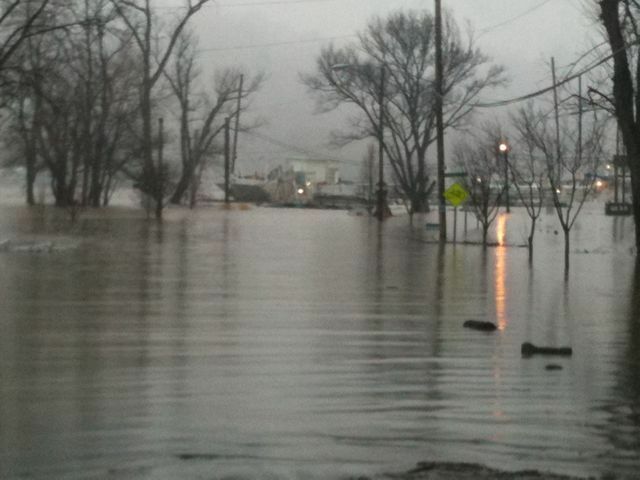 These persons told me that if I did not give my name that they would call the police and the Coast Guard. I’ll be honest—I gave in and told them my name because I was nervous and I did not want to deal with it all. But the truth is that you have rights in this society. You have rights even given the collaboration of big companies and government to deny our basic freedom to observe and make note of what is around us in life. Top Texas conservative blogger David Jennings wrote last year about being questioned by authorities after taking pictures of Houston Metro train facilities. The ACLU has a page of rights that each of us have to take pictures in our supposed land of the free. Police officers may not generally confiscate or demand to view your photographs or video without a warrant.If you are arrested, the contents of your phone may be scrutinized by the police, although their constitutional power to do so remains unsettled. In addition, it is possible that courts may approve the seizure of a camera in some circumstances if police have a reasonable, good-faith belief that it contains evidence of a crime by someone other than the police themselves (it is unsettled whether they still need a warrant to view them). Out of control voter registrars are disenfranchising Texans all over our great state. How do the officials responsible for this live with themselves? What is more basic and American than the right to vote? Out state is broke we are told, but we have plenty of money to stop people from voting. These unAmerican voter purge efforts are taking place all across our nation. These efforts are being led by conservatives. 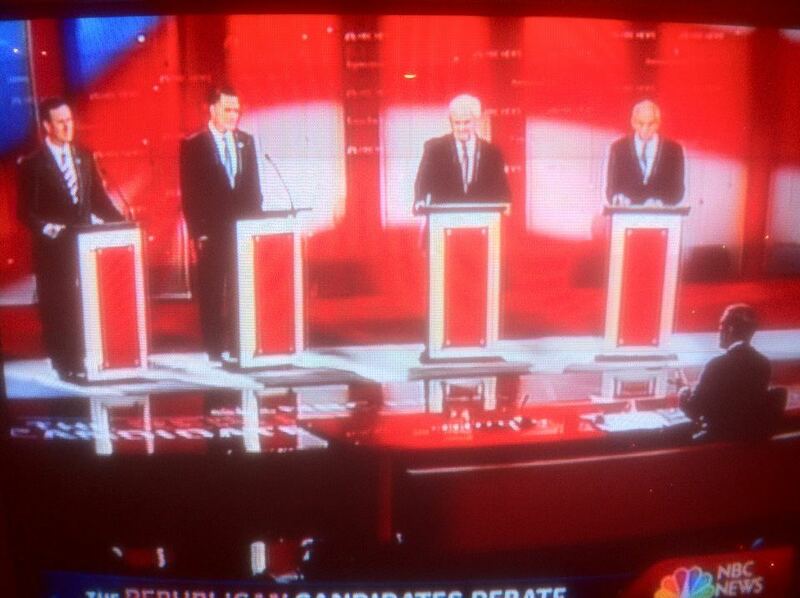 Republicans are fearful of our multi-ethnic future, and of a fair count at the polls this upcoming Election Day. What a sharp departure this all is from the most essential American values of full-inclusion and a vigorous democracy. North Carolina Bans Gay Marriage—Why Would A Public That So Often Has So Little Self-Respect Have Much Care For The Rights Of Others? Voters in North Carolina have made gay marriage in that state illegal by approving an amendment to the state constitution that will ban such marriages. This was a cruel act by North Carolina voters. Life is brutally short and people should be allowed to live in marriage with the person they most value. If I had it within my power, I would annul the marriages and break apart the families of the people who voted for this amendment. I would ask them how they like it to be denied the relationships they hope for with the people they love. Then, after a time, the folks who opposed the amendment could vote on if those marriages and families should be restored. That seems fair. Why is such basic thing as the right to get married is up for a public vote in the first place? Where was the “get the government out of my life” crowd on this issue? Gay marriage is going to be the law of the land sooner or later in this nation. However, until that time it seems that the rights of gay people will be up for approval by a public that in so many cases is unable to maintain steady relationships and unable to treat children well. It is no surprise that a public that is so often incapable of self-respect, and so often incapable of respect for the people they say they most value, would have when given the choice little respect for the basic humanity of others. There will be a protest later today at Houston City Hall to call for justice in the Trayvon Martin case. While Trayvon was shot and killed in Florida, his death is a matter of national concern. We’ve got to stick together and show up for each other when times are difficult. We don’t always do that in Houston and in the nation. The rights and freedoms of all people are connected. I encourage you to take part in this protest at Houston City Hall. On Sunday, March 25, Houston will join the official Justice for Trayvon Martin Movement. The Houston Unites for Justice Rally happens Sunday at 3PM at City Hall’s Reflection Pool, 901 Bagby Street, in Downtown Houston. The event is organized by the NAACP-Houston Branch, Rev. Reginald Lillie-President and Texas NAACP, Gary Bledsoe-President. Partnering organizations and officials include, area Churches, the Houston Urban League-Judson Robinson, Executive Director, LULAC-Mary Ramos, President, Local Unions, Greek fraternities and sororities, Congressional Representatives Sheila Jackson Lee, Al Green, and a host of other officials and groups. Houstonians of diverse races and affiliations are passionate about expressing our outrage and righteous resolve to see that justice is done in this matter. We join the National Movement calling for the arrest of George Zimmerman and a thorough investigation of the Sanford Police Department. To… ask questions please contact the NAACP Chairman of Religious Affairs, Bishop James Dixon at (713) 688-2900, extension 224 or by e-mail crystalj@clearsail.net or Yolanda Smith at the Houston Branch at (713) 545-9696. Loyal Citizens (A Few Of Them) Protest Manuel Rodriguez’s Anti-Gay Campaign Tactics—Where Are The Good People? Above you see freedom loving citizens of Houston protesting the ongoing presence of Manuel Rodriguez on the Houston Independent School District Board. They are quite appropriately making this protest under the flag of our State of Texas and under the flag of the United States of America. 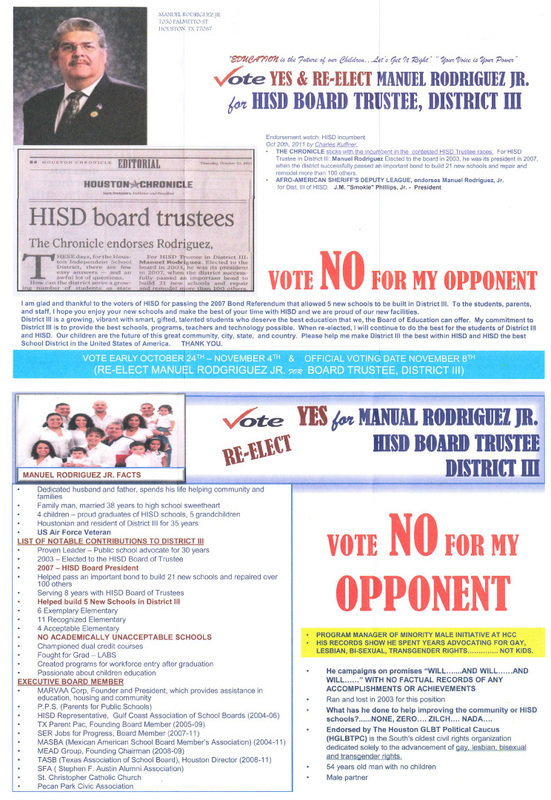 Mr. Rodriguez circulated anti-gay campaign materials in his recent reelection bid. Mr. Rodriguez won by 24 votes. The link above shows the campaign circular. There is a website regarding this issue. Though I don’t see a word about this concern on the website of the Houston GLBT Political Caucus. 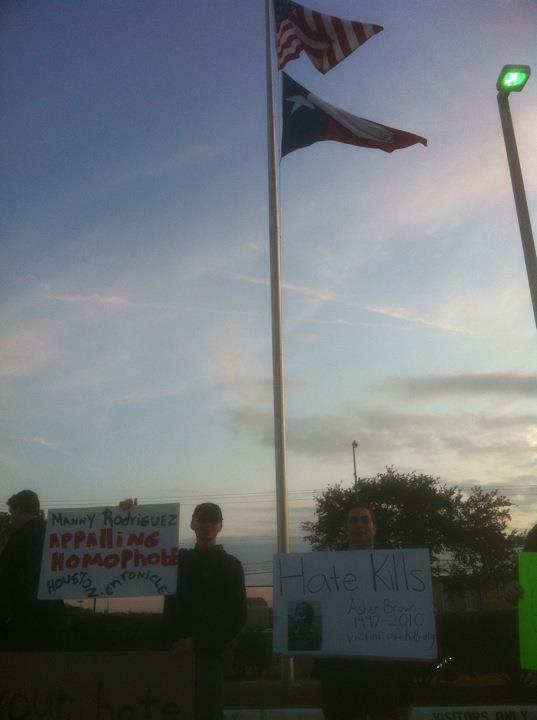 There were maybe 20 people at the protest shown in the picture. These folks were loyal Americans seeking to right a wrong. While that is very good, there are a number of questions I had after attending this rally. Where was the full GLBT community? Where were the candidates who have been happy to take the Houston GLBT caucus endorsement over the years? 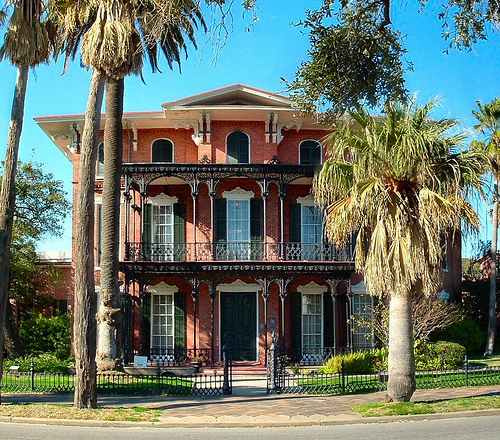 Where were other civil rights groups in Houston? The freedom of all people is connected. Where is the outreach between groups? Where is the effort and imagination? Where is the hope that people working together can make life better? At the core of the matter, where were everyday citizens of Houston? Is anybody serious about anything? You can’t control what folks such as Mr. Rodriguez are going to do or say. There are always going to be people who do and say mean and hateful things. All you control is your response to the bad actions of people in power. Mr. Rodriguez and people who support his narrow mindset know the sad facts of the matter as shown by this example. You can get away with just about anything and folks will look the other way. Even folks who say they care about issues of civil rights and freedom will for the most part look away. 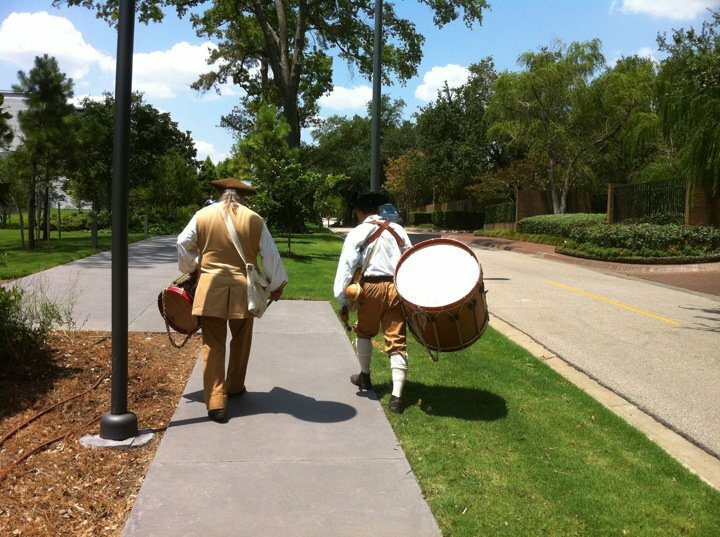 With the Fourth of July over for another year, your inclination might be to pack up your fifes and your drums and to go home. However, just as the forces of evil never rest, it is up to you to be engaged in the work of freedom each day. 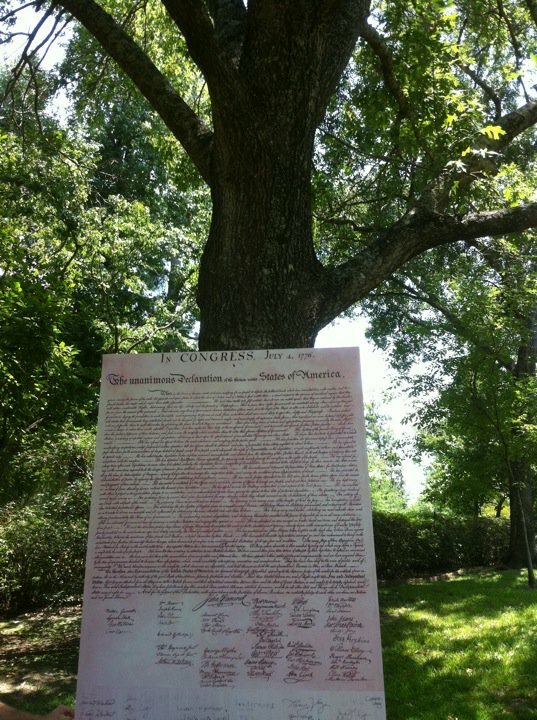 Below is a giant Declaration of Independence leaning up against a tree. I took this picture in Houston on the Fourth. I know with this being Texas, you might think this giant Declaration leaned up against a tree was being readied for a lynching by a states rights mob angry at all the founding documents of our great federal union. This was not the case. Not yet at least. Today–July 6–and every other day of the year, is the right day to know your history and to work hard to win the future. The Gay Marriage victory in New York must be seen as a progression from the Stonewall Riots of 1969. But even more to the point, gay marriage is part of the life, liberty, and pursuit of happiness pledged on July 4, 1776. The Tea Party is smart enough to link their cause to our founding. Let’s do the same with our better cause. The advancement of the gay marriage across our great land is part of the progress of American liberty. 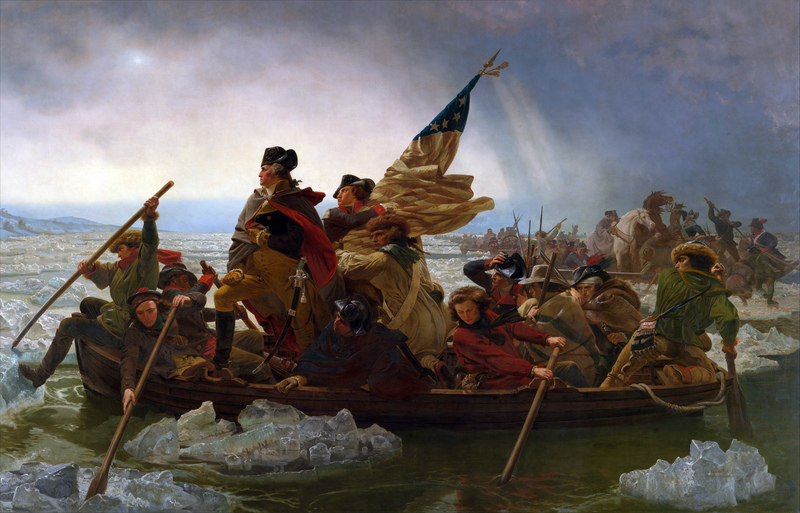 Whenever freedom prevails over intolerance, that is a victory for the Spirit of July 4, 1776. Juneteenth for 2011 will be observed on Sunday, June 19. It is important that we all be aware of Juneteenth. The freedom of all people is connected. If any group of Americans does not have all their rights, than we are all denied our rights. After Juneteenth came the failure of Reconstruction and over 100 years of Jim Crow. Many people had their lives wasted in these years due to the racist beliefs of political leaders and of many everyday citizens. Here is a list on Juneteenth events in Houston for 2011. 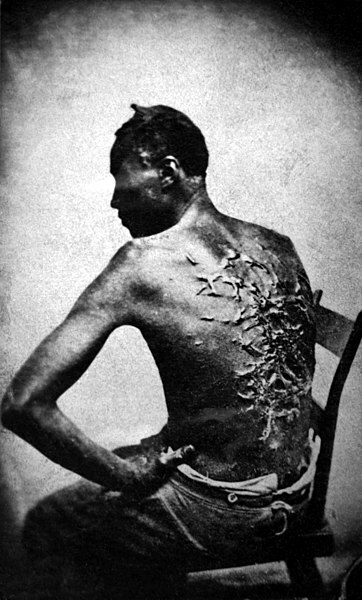 Below is a picture of a man who was a slave and who was whipped many times. Even today we remain not in full control of our fates. Circumstance and chance play a role in life. Sometimes our freedom is restricted by our self-imposed limits of imagination. Other times our freedom is challenged by the greed of the wealthy and powerful. In any case, we must always press ahead towards freedom and emancipation. There is always progress to be made and great victories to be won. A federal judge has allowed a Texas pastor to use a non-inclusive prayer at a Memorial Day ceremony honoring Americans who have died in the service of our nation. I’ll simply say this–The judge and the pastor here each had a decision to make about including everybody, or not including everybody, in a Memorial Day observance at a federal cemetery. 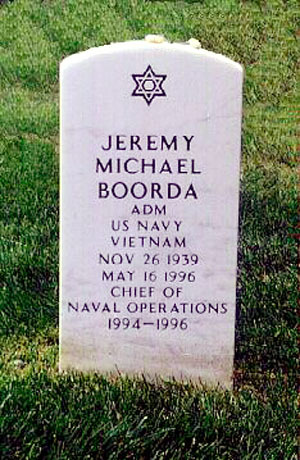 We all know that people of many religious beliefs, and atheists as well, have fought and died for our nation. We all have to make a choice about what kind of nation we are going to have. The judge and the pastor in this matter have presented one view of America. I would submit that there is a more generous and hopeful choice that can be made that honors the value of every American who has fought for our freedom. Above is Houston-area Congresswoman Sheila Jackson Lee. 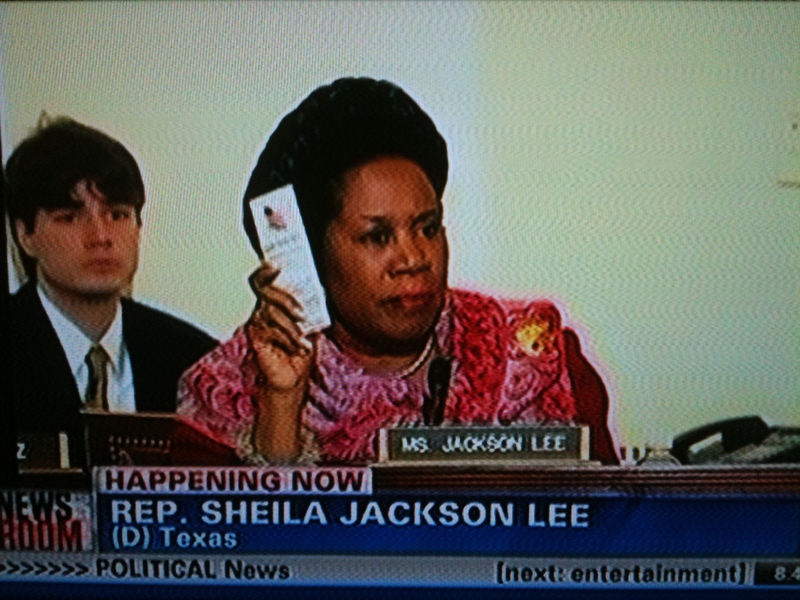 Rep. Jackson Lee is known for her knack for finding the camera. Rep. Jackson Lee also has a consistently liberal voting record that serves her district and all people of Texas well. The picture shows Rep. Jackson Lee at the Muslim-bashing House hearings held earlier this month by Republican Rep. Peter King. She is holding a copy of our United States Constitution. Mr. King represents folks on Long Island. He chairs the so-called Homeland Security committee of the House. Mr. King held these hearings to “investigate” Muslim involvement in domestic terror. Mr. King discussed no other group in these hearings. Just Muslims. Are Muslims the only folks capable of engaging in terrorist acts? Rep. King should know this because he was long an active supporter of the violence-loving Irish Republican Army. In strong contrast to Rep. King’s un-American singling out of one group of citizens, was Ms. Jackson Lee ‘s bringing the United States Constitution to the proceedings. Regular readers of this blog will know that I advocate bringing a copy of the Constitution with you everywhere you go. You never know when you have to argue for an expansive interpretation of the Constitution that allows for a wide range of government actions on behalf of the public. Our government of the people has the right to act as a counterweight to the influence of big money, and other powerful but narrow influences. Our government of the people has the obligation to expand the rights of citizens to meet the needs of the times. The strongest arguments for this wide view of opportunity are the promises of freedom written into our founding documents. Ms. Jackson Lee brought her Constitution to this shameful hearing and spoke of freedom for all. At least that is what I imagine she was saying. I had the sound off on the television for most of her remarks. I think I was reading a book at the time. I can’t stand all that talk in these hearings. We’ve let the political right claim ownership of the flag, and the Boston Tea Party, and the Constitution. The freedom of all people is a progressive cause. Put a flag sticker on your car with your liberal/progressive bumper sticker. Invoke the founding fathers to support your views. Read up on American history and tell people the facts when they get it wrong. 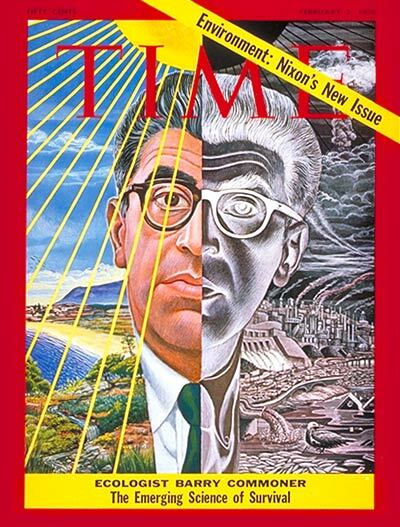 As they work day- and-night to screw-up the future, don’t let conservatives also mangle our past. The Hospice people I talked today to in regards to the terminally ill person in my life were solid. I spoke to three nurses and a social worker. The folks at Hospice do the work of existence. Existence has a structure of life and death. Freedom comes from structure. In an airplane last week, I thought about how the plane can fly because existence has a structure that we make use of to gain the speed and mobility of air travel. 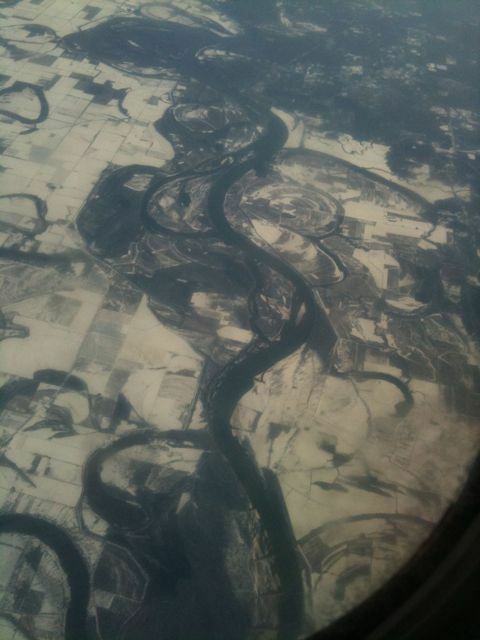 Seeing the flooding river, I was thankful for existence, structure, and freedom. I have a plane to catch so this will be brief. I’m glad the Supreme Court has decided 8-1 that the anti-gay Westboro Baptist Church of Topeka, Kansas has the right to protest outside of military funerals. These are the folks who yell homophobic slurs in proximity of these funerals. As odious as these protests are, we can’t pick and choose who may speak and who will not be allowed to speak. This decision gives the assurance that the widest possible range of political speech will be protected in our nation.